Nassim Taleb, NYU Professor of the Science of Uncertainty and contrarian thinker par excellence, once remarked that the best advice he had ever been given had come from his friend the novelist Jean-Olivier Tedesco, who, being advised by Taleb that their train was leaving soon and they should run to catch it, stated that if he had learned one lesson in his distinguished career, it was that one should never run for a train. Its great advice, and I encourage you as a photographer to follow it. Missing the train is only a problem if you run after it. There is an elegance in refusing to run after trains, in not setting your standards in line with others, a sense of being in control of whats important in your life and in your creative decisions. In photographic terms, this means resist running with the digital herd, with its lemming like pursuit of greater sharpness, more resolution, and the delusive idea that constant equipment upgrading will somehow get you where you’re going creatively. You stand above the herd, not outside of it, when you do so by choice. You have far more control over your success photographically if you set the criteria for success yourself. Part of my educational expertise is exploring creativity and studying the personalities and habits of creative people. If there is one invariable rule I’ve gleaned from them, its that truly successful artists (not the fashionable and soon to be forgotten) don’t run after trains; they are surprisingly unconcerned with the technology of their profession; they are concerned, rather, with the evocative images or the evocative words they create. Now, I’m not going to get into the tired debate about whether you as a photographer are an “artist”, only that the refusal to run after trains is effective advice in any number of creative arenas and is almost invariably a precondition to real creativity as opposed to the slavish ape-ing of others. 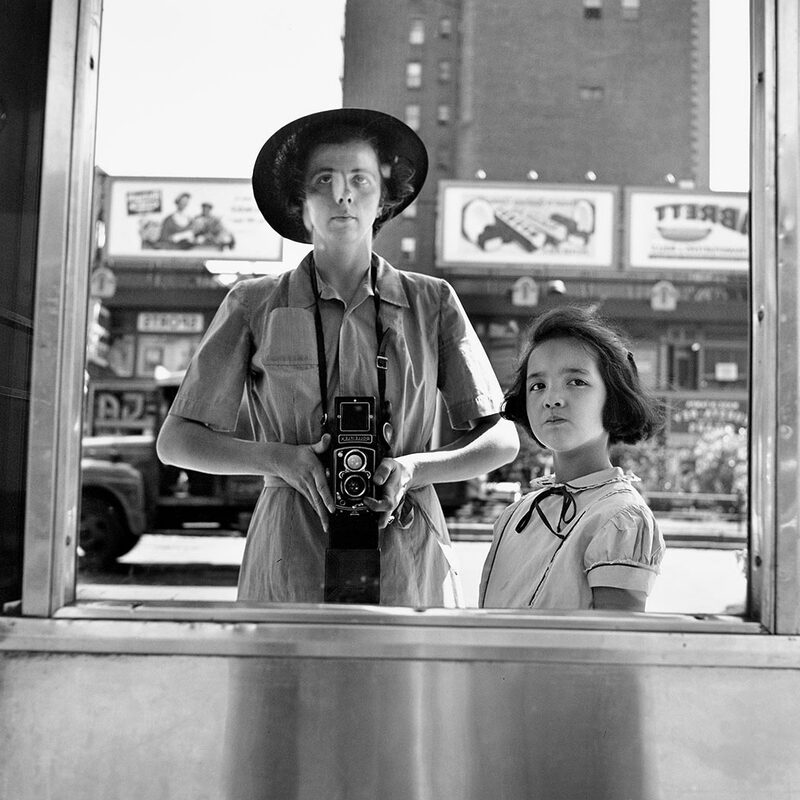 Think of someone like Vivian Maier, for example. Ignored in life, now celebrated in death, because she had something to say. Do you really think that she cared what equipment she used, or that it made any difference to the power of her images? Would her photos have been better, more evocative, if she had bumped up from a Leica III and ancient Summitar to an M240 with an Aspherical Summilux, or from an ancient TLR loaded with Pan X to Sony a7s with image stability and 25,600 ISO capability? Would she have been better, more productive, if she posted regularly on Rangefinder Forum debating what Filson bag went best with her newest Leica MP240? Think about it, and while you’re at it, stop obsessing about your equipment and start obsessing about why your photos look like everybody else’s. Ironic words, no doubt, from a guy who writes a gear head blog, but good advice none the less. The point is this: don’t confuse the means with the end. Photography is a simple process. A light tight box, some optics to concentrate light, and a light sensitive medium is all you need. Its a process that’s provided enjoyment and incredible creative possibilities for over a hundred years. Leica film cameras, with their transparency as a creative tool, are a large part of that story. They still can be, and they are for a few people who value them for what they do and not what they are. Now the digital revolution has swept aside all of it. Your 7 year old kid with his jphone can do things photographically that you only dreamed about doing with your Leica in the film age. Has it made photographers ” better?” I’d submit its made them worse, less creative, more slavish and herd like. I recently saw a Walker Evans exhibition at the Getty in Los Angeles. It consisted of beautiful 5×7 B&W contact prints taken in Cuba in the 1930’s. I had just come back from Paris, where I had seen the latest fashionable photography in various galleries and art spaces. Saw a lot of people in those spaces with the latest digital Leica’s proudly hung around their necks as some sort of creative talisman. The difference between the two aesthetics was striking: one, small, simple, deep, jewel like, each photo a visual feast for the eye; the other, large, sharp, resolute, garish, dominated by the surface and completely unremarkable. When I got home, I rededicated myself to the simple joys of film photography and have never looked back. So, if your Leica MM sensor has de-laminated after 6 months, or the Fuji you bought last month is now obsolete, or the Aspherical Summilux you paid a month’s salary for suffers from back focus, use your angst as a means of re-evaluating what’s really important in your creative journey. When the grapes you have been eating are sweet, consider the Aesop’s fable of the grapes you do not reach for. They’re just as likely to be sour as sweet. This entry was posted in Famous Leica Users, Philosophy of Photography, Uncategorized and tagged Leica S2, Vivian Maier on November 23, 2014 by Leicaphila.